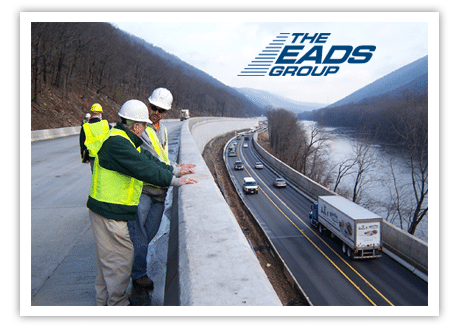 We’re new to this; but since The EADS Group is constantly working to modernize our practices to keep up with the ever-changing world around us, we’ve taken steps to enhance our digital footprint. We’ve redesigned our website to be more mobile-friendly, easier to navigate, and more visually appealing. We hope you enjoy our new website as much as we do. We pride ourselves not only in what we’ve become, but who we were and our path to success. Whether it’s designing and planning the overall site for the Flight 93 Memorial, or modernizing the highway through the Lewistown Narrows, there is no project we can’t tackle. To further demonstrate this, we have been recently chosen as one of the 2017 Engineering News Record’s Top 500 firms in the country! We are blessed with truly professional and dedicated employees who take great pride in what they do, the contributions they make, and the communities they serve. Please stay up-to-date with how we are making a difference in the communities we serve by following us on Facebook and LinkedIn. Thanks for taking the time to read our first blog—we hope you’ll come back for more.